In September 1940, while the rest of his country was in the midst of war, teenager Marcel Ravidat stumbled across the narrow entrance to a concealed cavern while walking his dog in a forest near the charming village of Montignac in the Dordogne, south-west France. He had chanced upon a vast complex of caves known as Lascaux (meaning stone) — a series of deep crevices, snaking passageways and circular shafts extending 250m into the limestone plateau of the meandering Vézère valley. Inside was a remarkable display of palaeolithic art, a wonder of 600 paintings and 1,500 engravings created 20,000 years ago, depicting aurochs, bulls, horses and stags in deep reds, browns and yellow ochres. Now more than 70 years on, visitors to the area can walk the same steps into the bowels of the earth. The temperature has the same coldness, it feels damp and dark, but this isn’t quite the same — it’s an exact, painstakingly cloned replica. 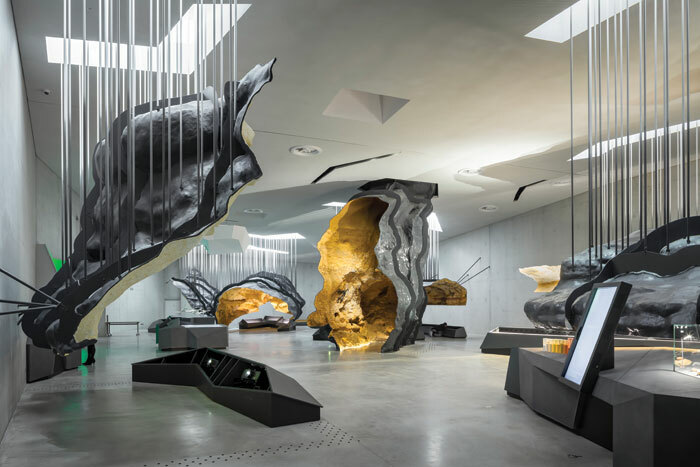 It’s the fourth copy in fact, housed in the heart of the new International Centre for Cave Art — Lascaux IV — designed by Norwegian architecture practice Snøhetta and London-based Casson Mann. 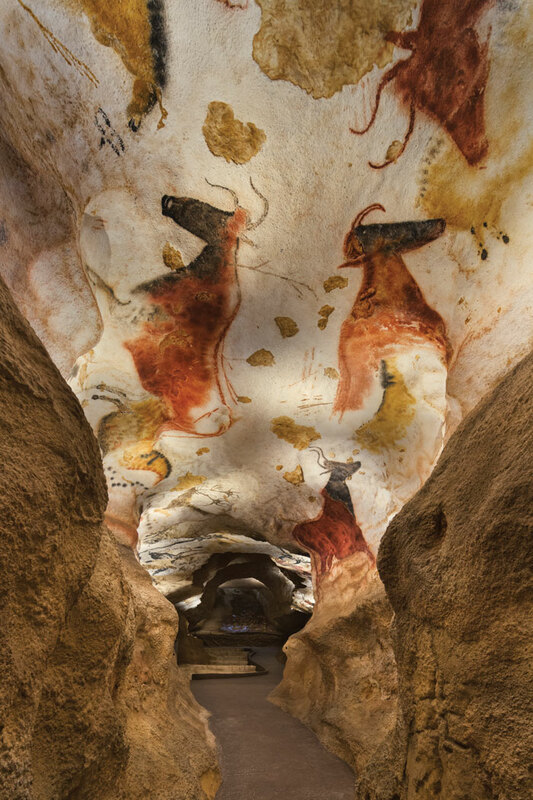 The original Lascaux cave, a fragile World Heritage Site opened to visitors in 1948, has been closed to the public since 1963, after exposure to the elements and an influx of eager tourists caused the vivid colours to start to degrade. 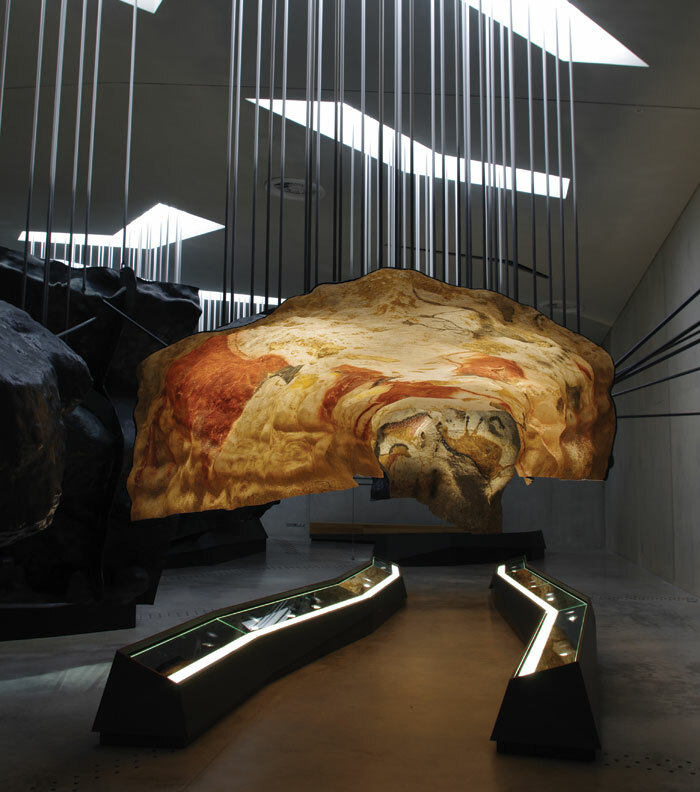 Two copies — Lascaux II, which opened 200m from the original in 1983, and Lascaux III, a touring exhibition from 2012–17 — have since only recreated fragments of the cave. By presenting a facsimile, the new 11,400 sq m museum raises questions over the conservation of heritage sites and the concept of copying in architecture. Is the copy of Lascaux a fake, a fraud and piece of visual trickery or an ingenious form of cultural preservation? While it may initially seem strange to visit a replica — a bit like going to the Louvre to see a photograph of the Mona Lisa — copies have traditionally been used in architecture to disseminate what people couldn’t get to. In the 18th and 19th centuries great examples of sculpture and architecture were brought back to the public in the form of plaster casts. Today, we have more advanced methods of copying in the form of digital scanning, 3D printing and fabrication that can recreate artefacts in remarkable detail. Copies are no longer seen as acts of forgery but celebrations of knowledge — research projects and education tools in their own right. With something in such a delicate balance as a cave there is always the element of risk that it could be lost forever. 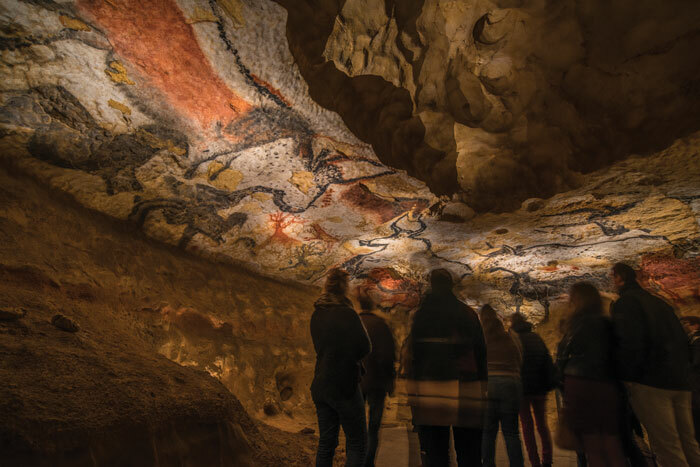 Lascaux IV aims to capture some of the original wonder and mystery of the caves for future generations. And the estimate is it will receive some 400,000 visitors a year. 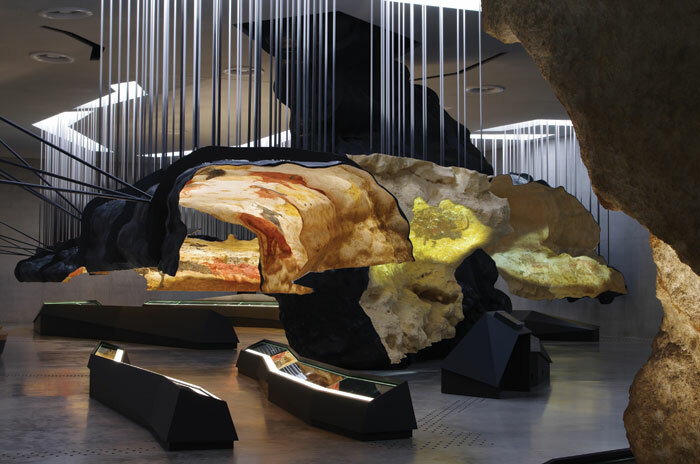 In this version, it’s all about recreating a complete sensorial journey through the caves, where scenography, architecture and landscape seamlessly converge together. ‘It’s a really difficult issue, this question of the original versus the copy. The cave could easily have become something from Disney simply because it’s a copy,’ says Kjetil Thorsen, co-founder of Snøhetta. The building is therefore experienced as a sequence of acts, taking you from inside to out, and inside again, from light to dark, from thin, horizontal spaces to very vertical spaces, in such a manner to make you more aware of the movement of your body through the space, as you would, if you were walking through a cave. 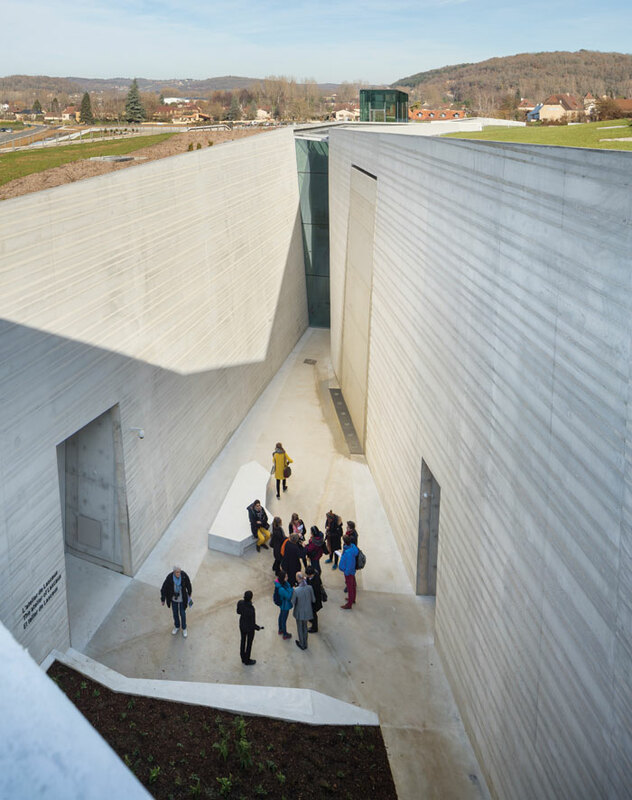 From the exterior Lascaux IV is conceived as a fissure in the landscape where Montignac’s agricultural land borders dense, impenetrable forest. As both the architect and landscape architect, Snøhetta has treated the architecture and landscape as one. The building slices low across the landscape, embedding itself into the land, its concrete form zigzagging to reflect the undulating form of the hillside behind. At the building’s two furthest edges it is not easy to tell where the landscape ends and the architecture begins: both fade into one another. Shallow steps provide a route over the roof of the building, while the front facade gently peels up to create a glass frontage and entrance. Inside, the visitor journey progresses along a carefully curated path, past a lobby space to a glass lift. Visitors are given an interactive ‘companion device’ or tablet with headphones and the immersive experience begins. Travelling up and looking to the sky, you do feel like you’re in a time machine stepping back 20,000 years. You exit on the roof of the building, called The Belvedere, and are presented with a wide vista across the valley. The tablet can be held up and used to see the landscape in augmented reality, gain more information, and even take pictures and share across social media if you are so inclined. 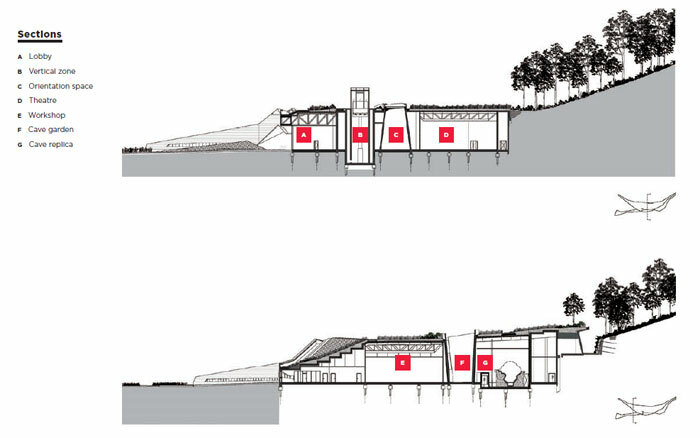 A winding, narrow path — called Chemin de la grotte — follows the incline of the roof towards the edge of the forest and leads inside to L’Abri, the shelter. A video takes visitors back to how the landscape would have looked 20,000 years ago before the visit to the cave begins proper. Says Roger Mann of Casson Mann: ‘It was essential that you didn’t come into a building and the cave was one of the doors down the corridor. On exiting the caves into an open courtyard, the Jardin de la grotte, you’re almost blinded by the transition from dark to light. 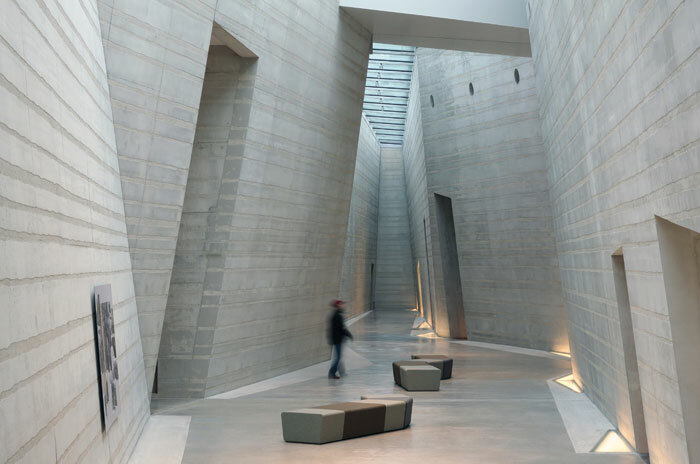 The triangular courtyard space is framed by steep, slanting, concrete walls that draw your eye up to the sky. Here the material is striated with texture, as if it was a slice through sedimentary rock. A waterfall runs down one wall. ‘The tour so far has been all about the movement of the eye and trying to adapt to different light circumstances. This space is a place of contemplation and reflection before you move further. It’s a resting place, it doesn’t do much more than just being here and opening itself to the sky,’ explains Thorsen. 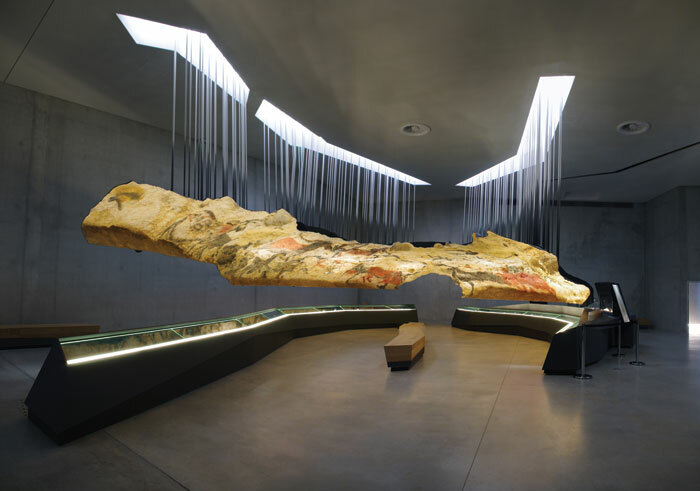 This courtyard leads on to L’Atelier de Lascaux, a large room where eight fragments of the cave are suspended from jagged cut-outs in the ceiling. They’re held by slender poles that give the illusion of light filtering through a deep mountain crevasse. Here visitors can examine the paintings closely, holding up the device to see how the paintings were created or choose animations and videos to see the process behind them. It cleverly strips the gallery spaces of text panels and overwhelming information displays that could have detracted from the architecture. 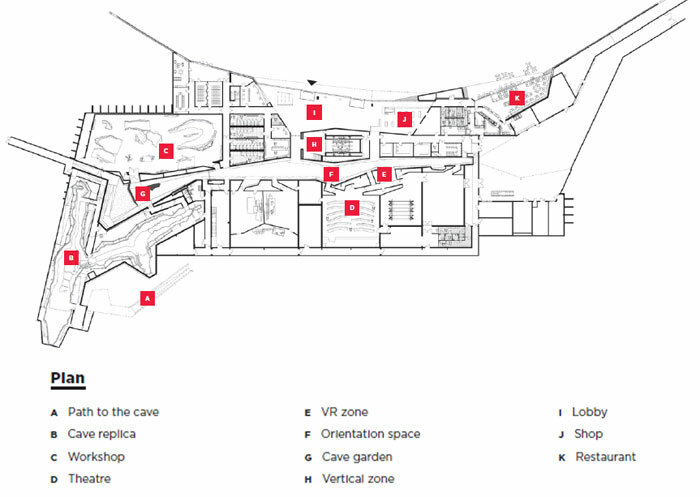 The rest of the centre is composed of a series of thematic exhibition zones that run along a deep cut through the spine of the building. The sharp, angular walls of this ‘orientation space’ are a continuation of the Jardin de la grotto and rise up to a skylight, creating another light-filled, vertical space to look up to. 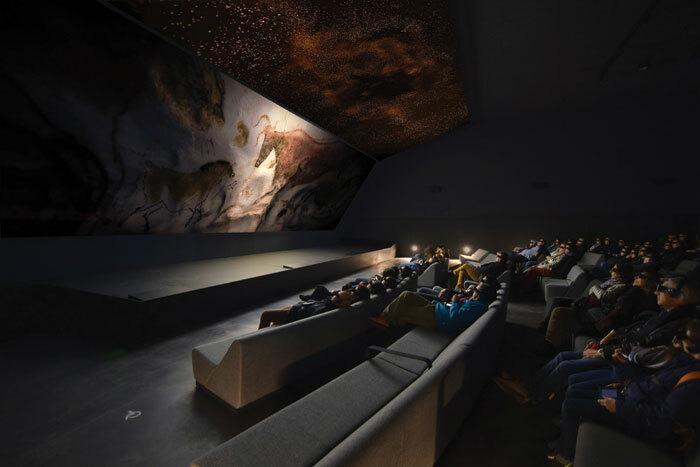 Exhibition rooms include a 3D cinema combining two screens — one vertical and one suspended in the ceiling — that takes visitors on a digital voyage through the cave and to others in Australia, Mongolia and Spain. 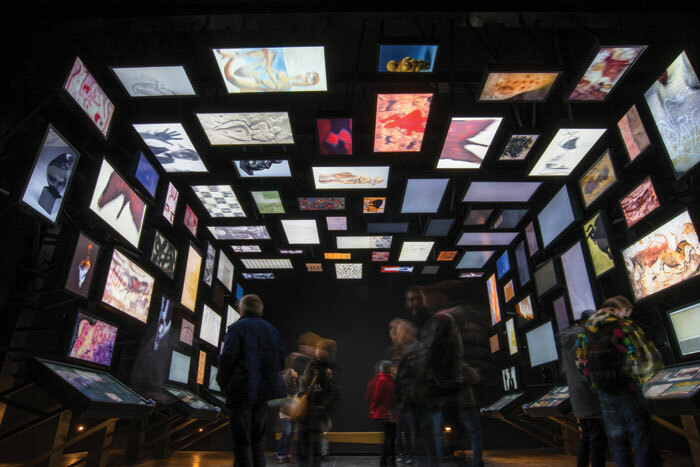 There’s also an interactive digital gallery of work by 20th-century artists influenced by the images of Lascaux, and virtual reality headsets to try on. It’s a full day-out experience, but without any of the Disneyfication that could easily have turned the museum into a pastiche. Neither the architecture or the scenography overpower one another. Lascaux IV is experienced as a journey of contrasts and intensities, which seek to evoke the atmosphere of a cave. Each space has a sense of clarity in its intention, whether you’re ascending or descending, looking up high or down through a long corridor. But perhaps in the future there might not be any need for a museum to provide flashbacks and reconstructions. Maybe we’ll just be able to experience it all in a headset?